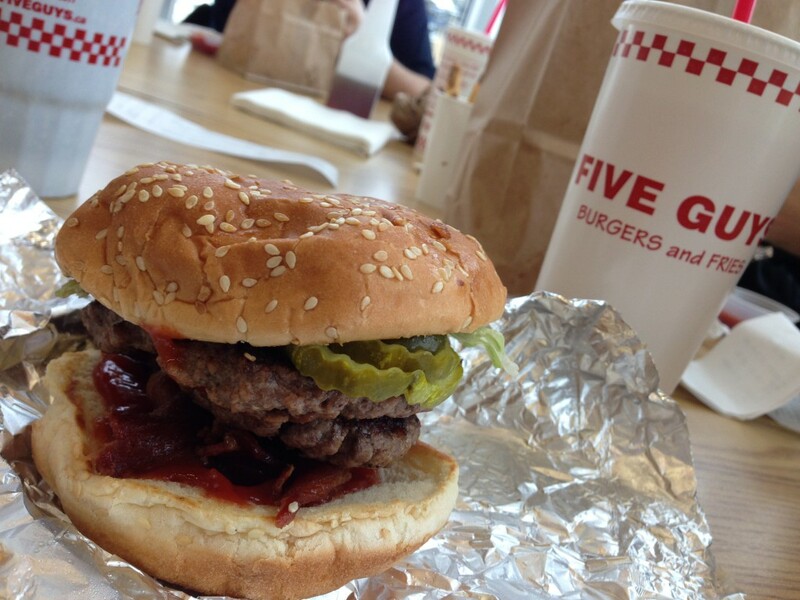 It is the first week back from holiday break, and fittingly, five of us headed out to Five Guys for lunch today. Bacon Burger with lettuce, pickles, ketchup and bbq sauce. My regular burger build. The salted peanuts are always a great touch while waiting for your order, and the bacon was magically crispy (as expected). Definitely something uplifting to get through that first week back!